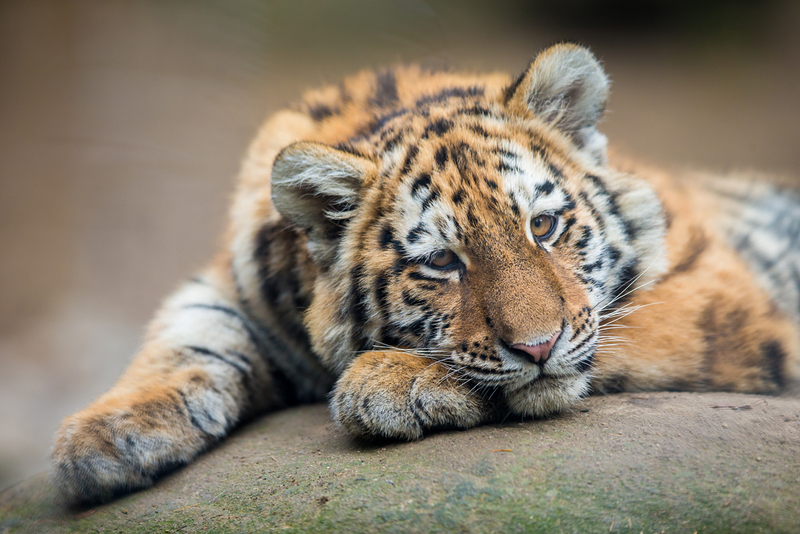 Specialists in Vladivostok have captured a young tiger roaming the streets of the city. Residents reported the wild cat to authorities. Experts say it could be the same tiger seen earlier outside the city. Specialists in Vladivostok have captured a young tiger roaming the streets of the city. Residents reported the wild cat to authorities, Interfax reports, and wildlife protection officers went to the location and caught the animal. “This young tiger is about 265 lbs., aged approximately one to one-and-a-half years,” said Sergei Aramilev, director of the Far Eastern branch of the Amur Tiger Center. He recounted that the animal was taken to a rehabilitation center, where experts will evaluate his condition. Aramilev also said there was hope that the creature could be released back into the wild. Yesterday, it was reported that the Vladivostok police were checking information from eyewitnesses who had purportedly seen the tiger. The police received two reports at once from people saying they had seen a tiger walking through a residential neighborhood. Environmentalists think the tiger could be the same one spotted in early October in Artem, about 24 miles from Vladivostok. At that time, the tiger was caught on video by a driver's dashcam, but wildlife protection officers were not able to find the animal when they arrived at the location.